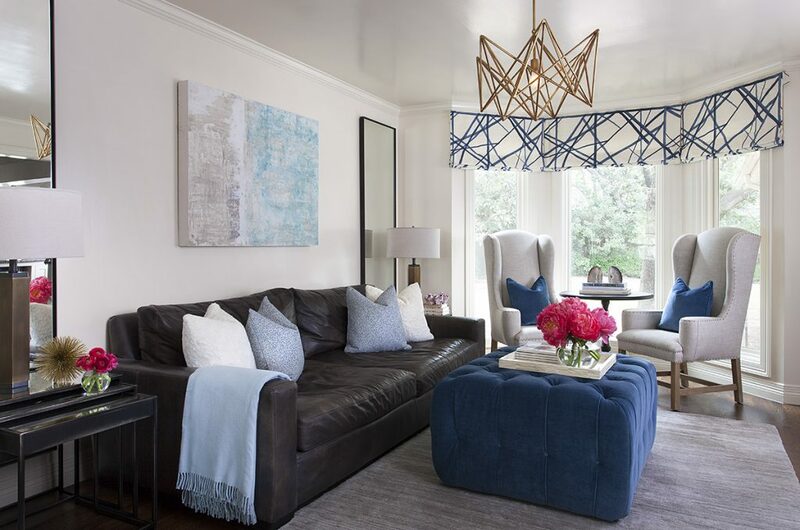 For this week’s blog, we want to take a moment to focus on the small details that make a space look and feel complete. Our team has a keen eye for details and styling, but if you need a little design help, we have put together a post on how to style your home with fresh flowers and plants. There are so many beautiful botanicals to choose from that it can be hard to only pick a few styles. As a design rule of thumb, we tend to consider color, scale, and placement when curating our flower and plant selections. 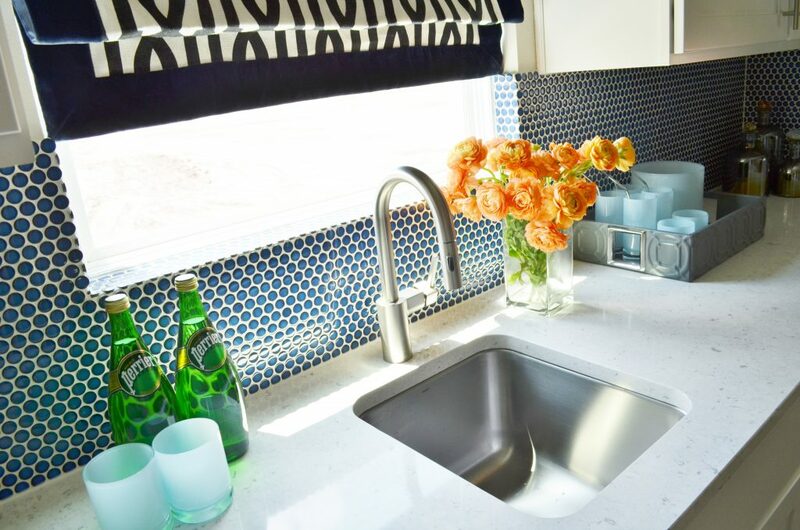 Below we have a list of some of our favorites and how you can incorporate them into your home. Whenever we professionally photograph our projects, we bring in a fresh element with herbs, flowers, or greenery. They bring in color and photograph like a dream. It takes planning and careful thought to pick the best plants that will both pop and really accent the space in which they are placed. We also have to consider what will be available from local florists and shops. Our go-to local sources include Austin Flower Company and Shoal Creek Nursery as they have a variety of blooms that are brought in from all over the world. Thankfully these local gems always have what we need! 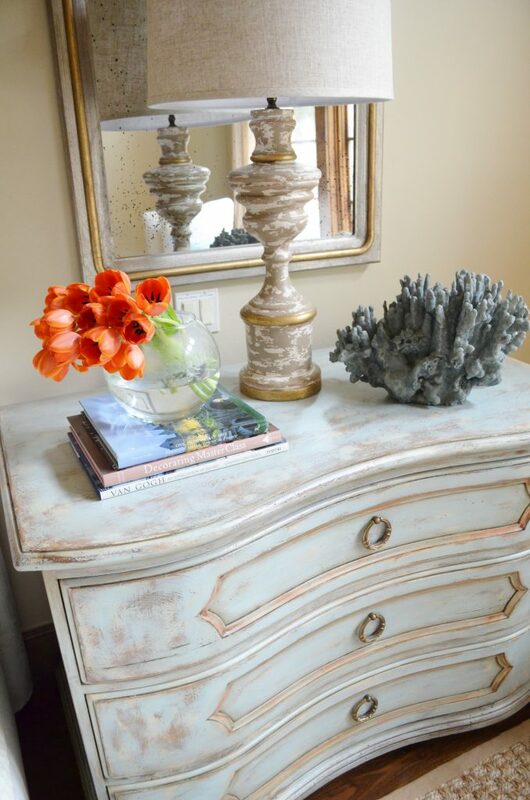 The color of the botanicals we use are one of the most important qualities we look for when styling a home. 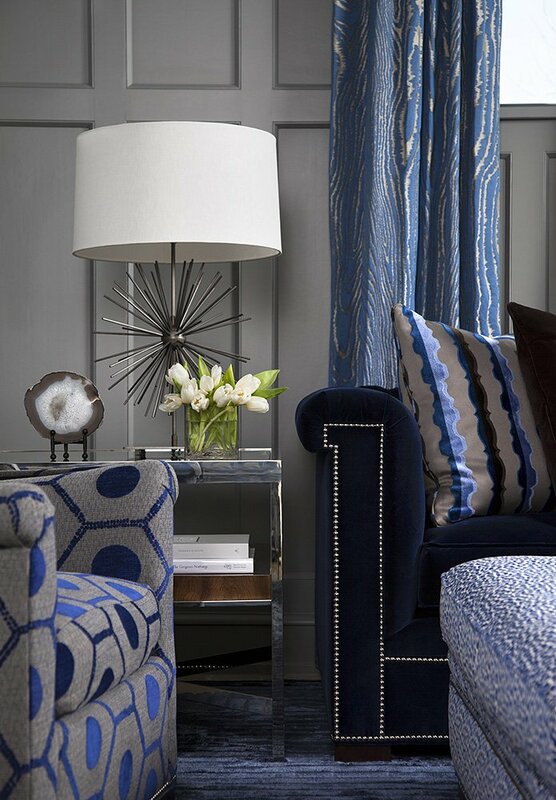 Most of our projects incorporate a color scheme of blues, neutrals, and other calming colors. Therefore, an energetic accent of color in our florals truly stand out against a serene setting. Remember complementary colors from grade school? This rule applies here. Orange accents look fabulous against blue. 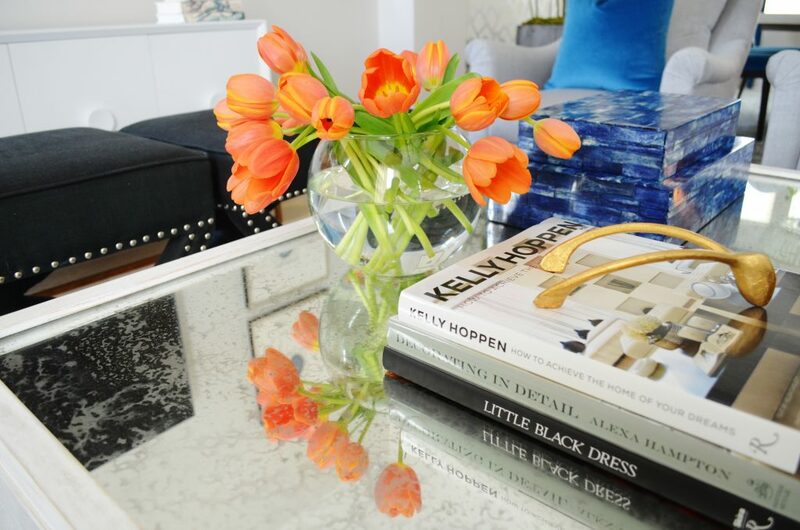 Orange tulips are one of our go-to’s. They have stunning color and drape beautifully. We also love ranunculus blooms in orange and other bold colors. They can add depth and whimsy to a setting. 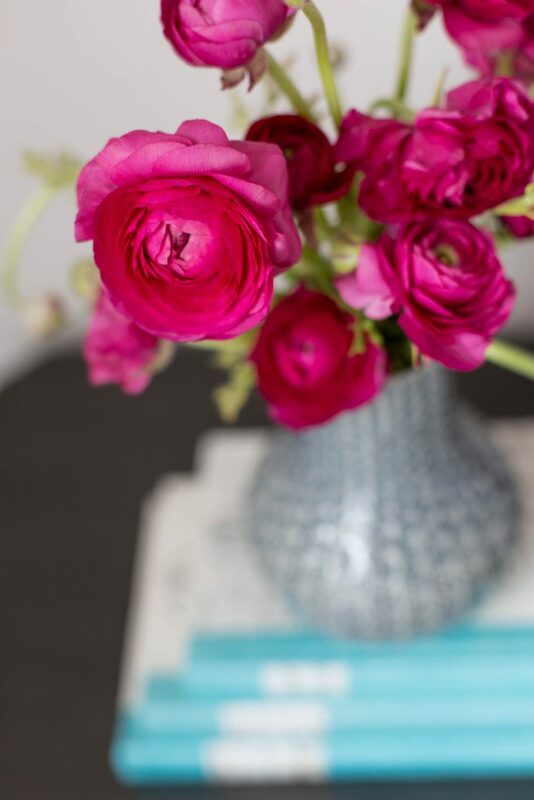 A hot pink ranunuculus arrangement gives this nightstand interest and intrigue. The small bouquet gives just enough punch to this detail shot. If we want to keep that serene feeling in a room, soft white and pink blooms are a lovely accent. 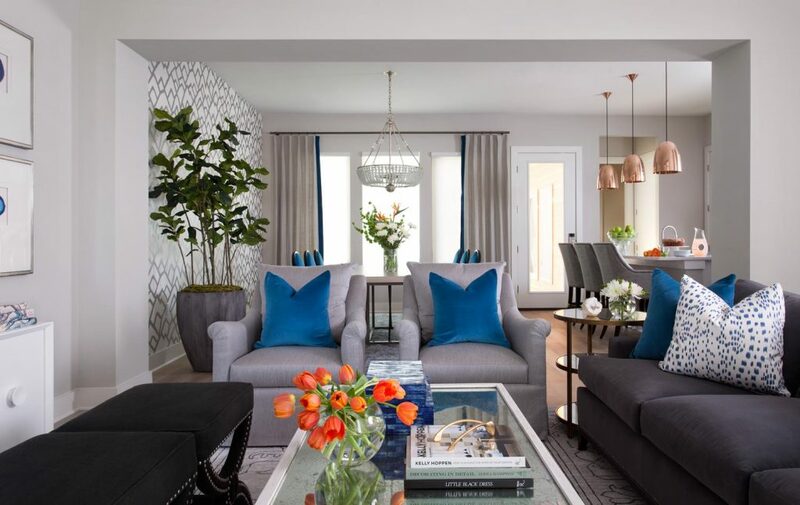 For this project, white tulips were a classic choice for this family room that already had lots of blue and orange accents throughout. 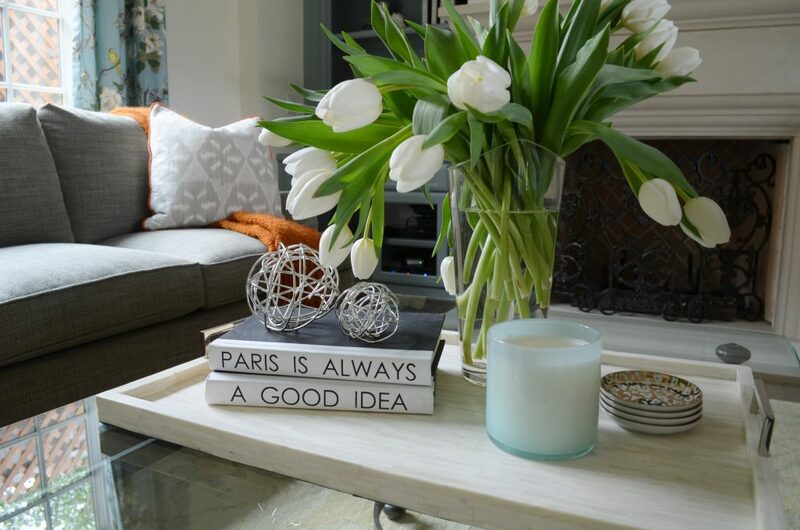 The white tulip bouquet gives this coffee table a quiet, serene moment. White tulips are graceful and elegant. 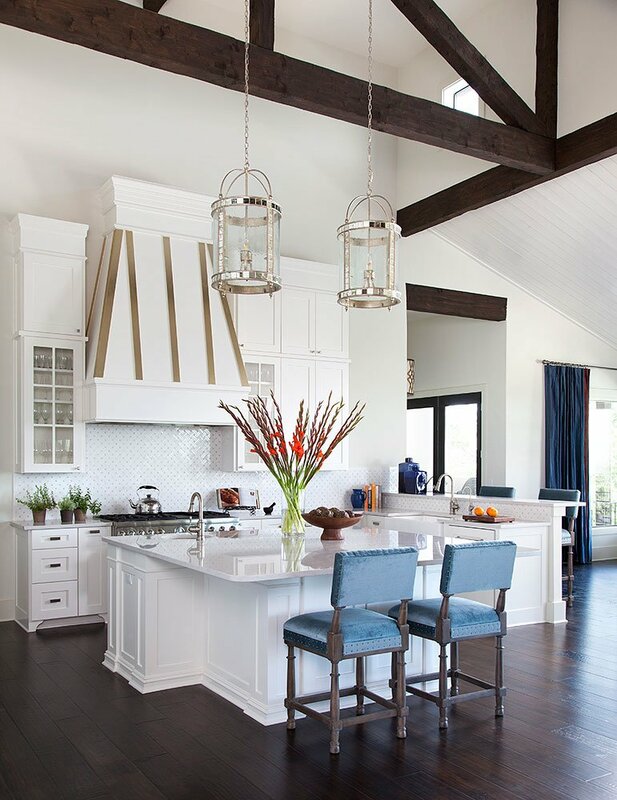 We love them in nearly every space, including this Fort Worth Georgian kitchen. 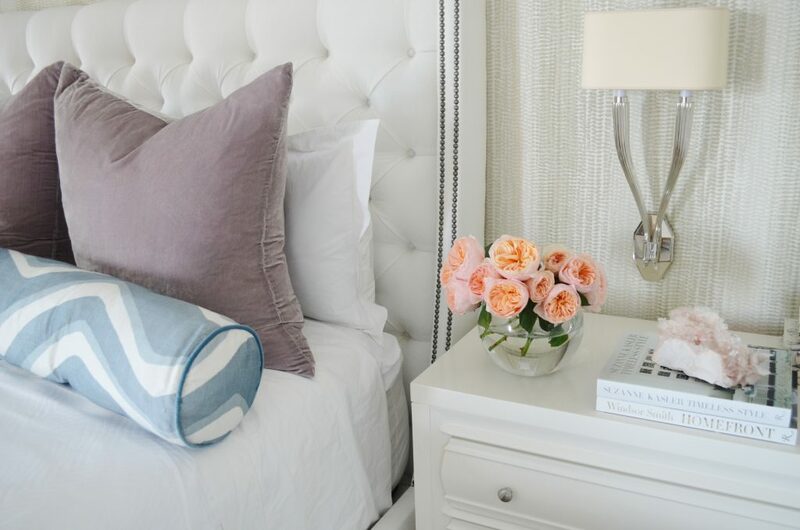 Soft pink roses give a pretty pop of color to this neutral master bedroom. The rose photographed, the Juliet Rose, is known for its perfectly formed rosettes and strong tea rose scent. But it has a price tag to match! These blushing beauties are reported as one of the most expensive roses in the world. 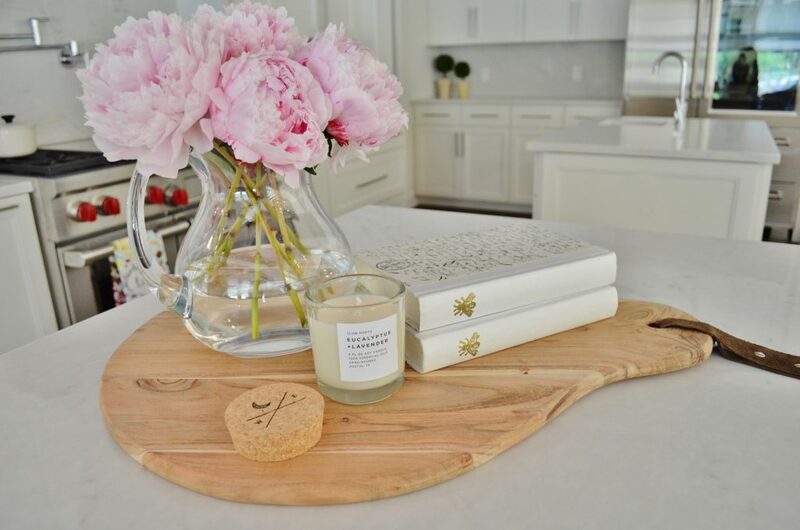 Pale pink peonies are another stylish selection when we want a softer, lighter floral. 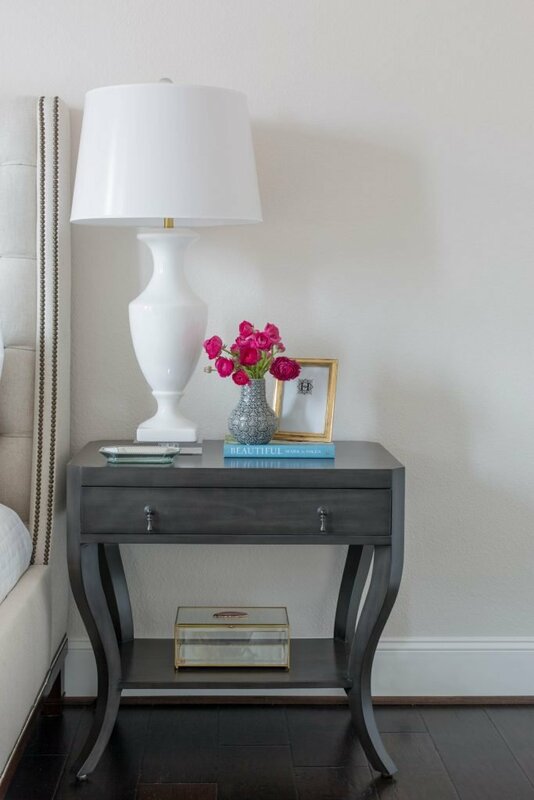 If your room has a color scheme, your florals can be bold and tie in your accent color. 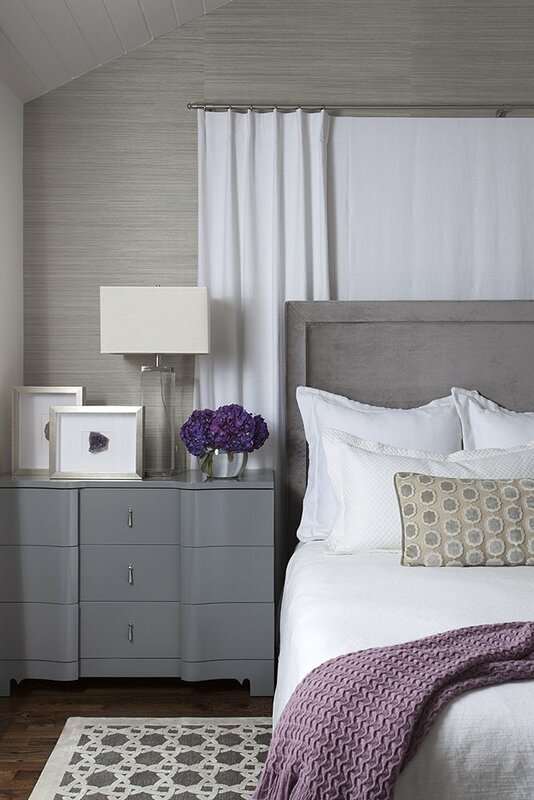 For example, purple hydrangeas in a bedroom with shades of purple and grey keep the color scheme consistent. 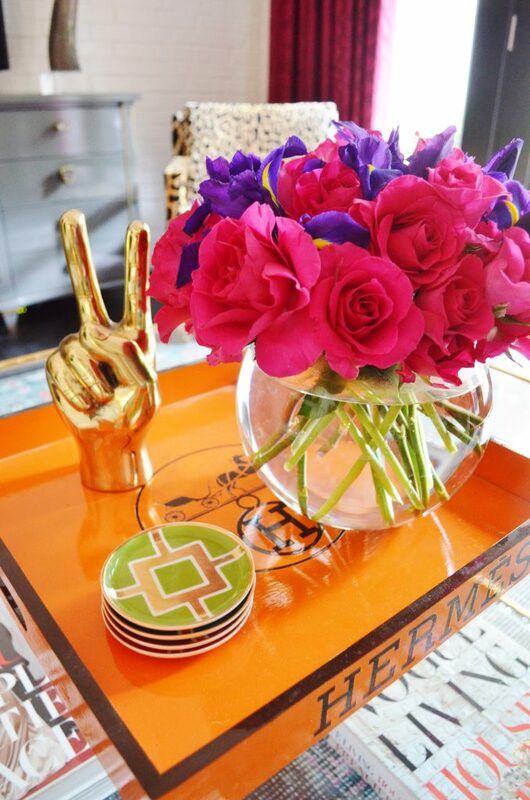 A bouquet of hot pink roses and Dutch irises were the perfect floral for this bold, funky living space. The client’s living room has bold leopard print chairs, pink drapes and pillows, so the florals needed to be just as bold. When we need our botanicals to serve as a grand statement, we select florals that bring in a lot of texture and height! For scale, we love gladiolus blooms. They are tall, grand, and very inexpensive. The perennial plant fills spaces with grace. 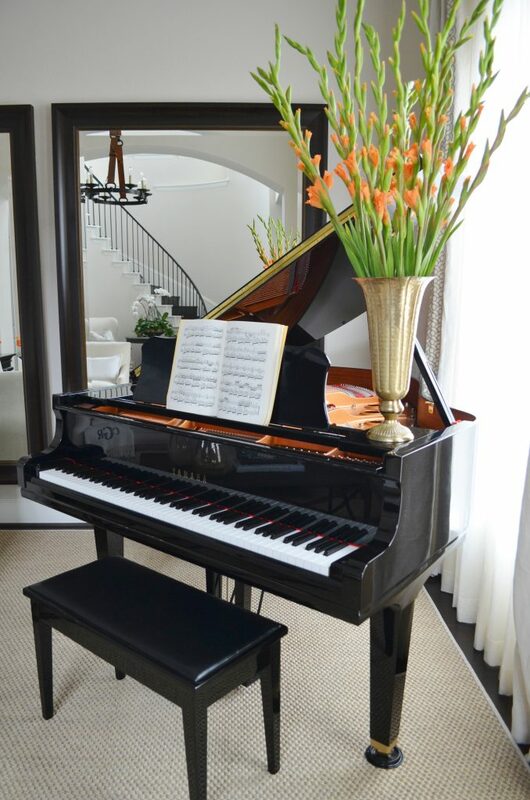 They are a fitting centerpiece for this Parade Home kitchen and piano room. Gladiolus plants are available in a variety of colors, but we prefer the orange and pink varieties. Bells-of-Ireland are another great choice if you need height. They come in long stems and can be trimmed to your preference. 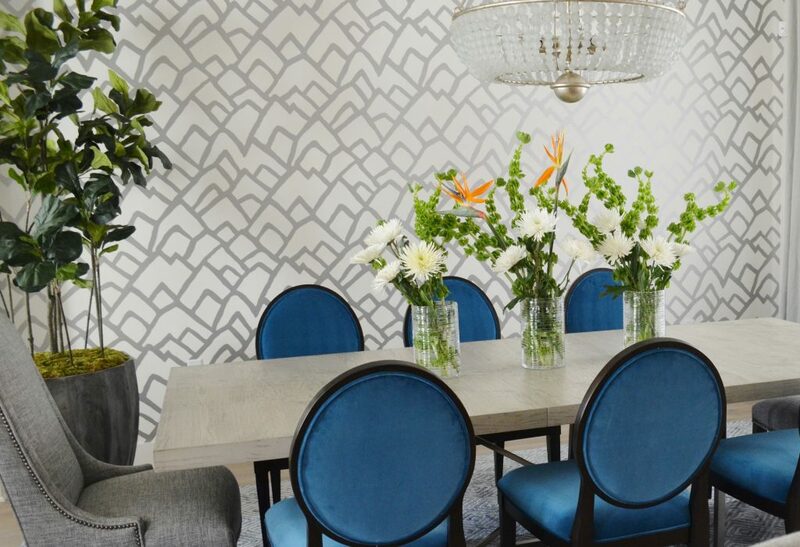 For this dining room, we mixed the textured stems with birds of paradise and ‘spider flowers’ for a chic centerpiece. Bells-of-Ireland can be added to your bouquet and floral of choice for a fun, custom arrangement. We added them to fresh white lilies to fill this tall living space. The florals and plants you choose do not have to be purely decorative. 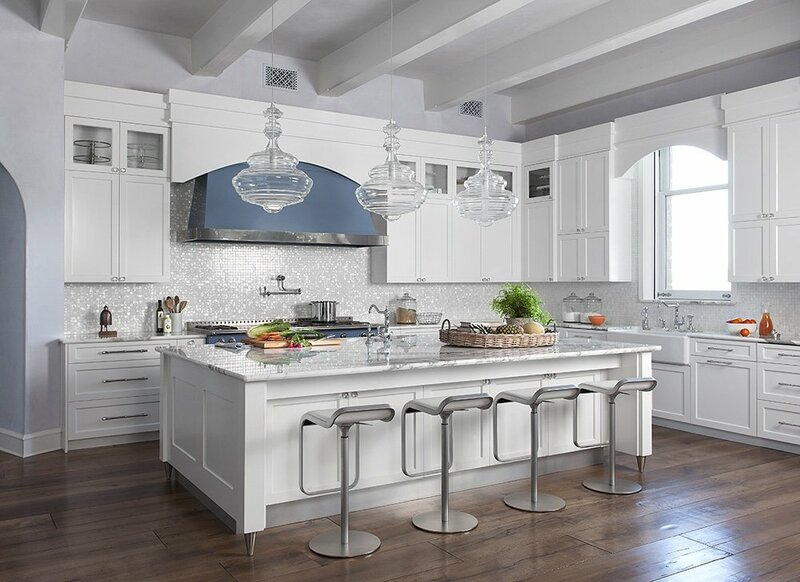 For example, you can incorporate fresh herbs into your kitchenscape. They bring in color, fresh aromas, and of course can be sprinkled in your favorite dish. 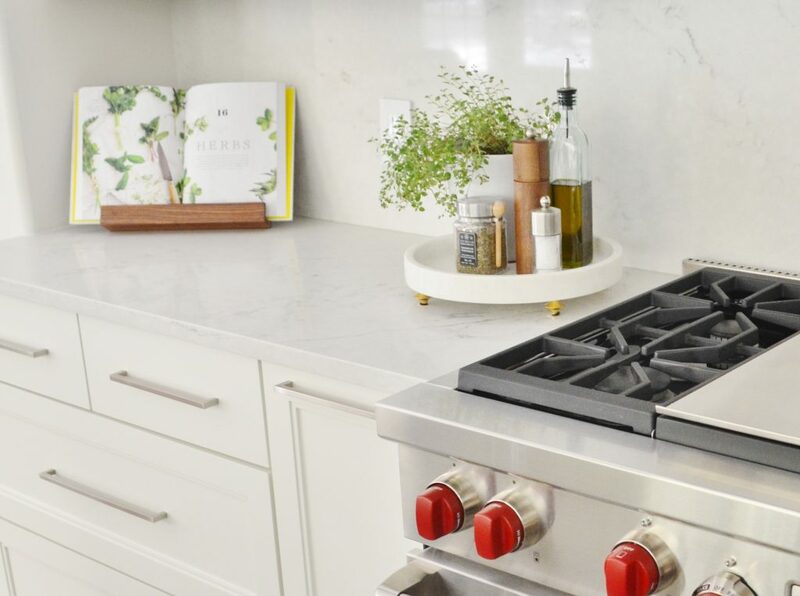 In these photos, we used fresh Italian oregano and basil herbs to decorate these bright white kitchens. 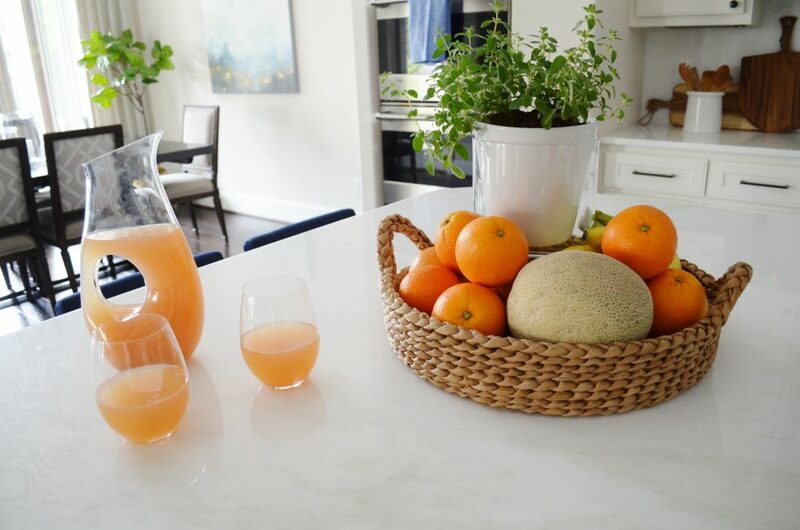 Fresh herbs can be mixed in with other kitchen essentials for effortless kitchen styling. 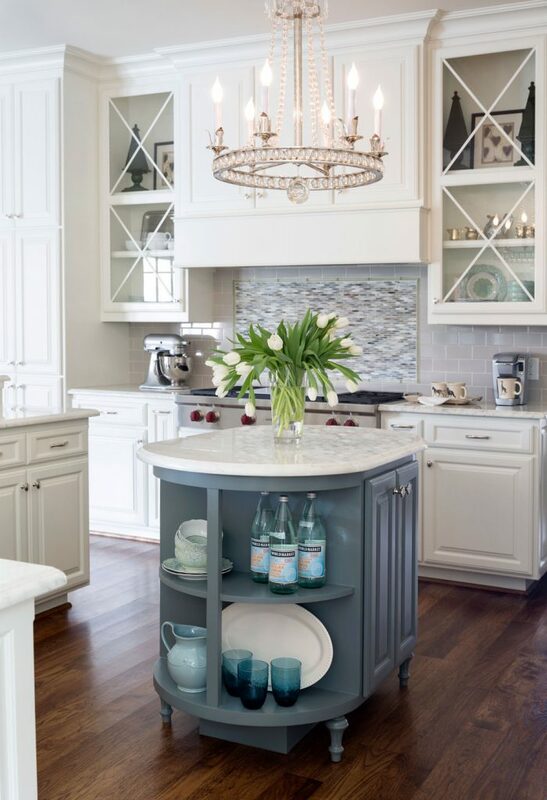 Incorporating fresh florals and plants into your home is a fun project to keep up with throughout the year. 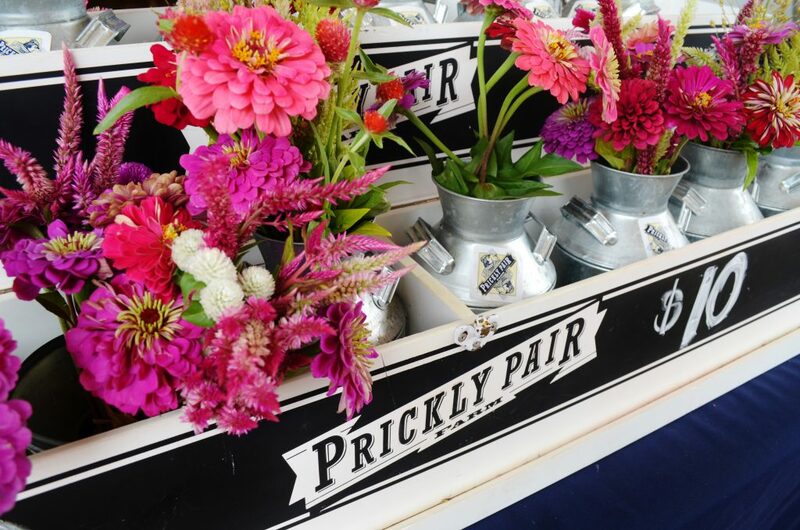 Next time you visit the market or your local floral shop, keep our ideas in mind for your home. What are you favorite florals and plants to use?